Abstract: S3 or S5? Some users are prepared to buy an Airwheel S-series intelligent scooter. But they feel stressed about choices after the launch of S5. Now, let’s compare S3 with S5, to give some references to these confusing users. Many people have been interested in Airwheel S-series intelligent electric scooters. Although S-series is designed for urban elites, many working-class people also like the shape of S-series 2-wheeled intelligent scooters. There were only two models of S-series: S3 and S3T before. Users choose the products by color. 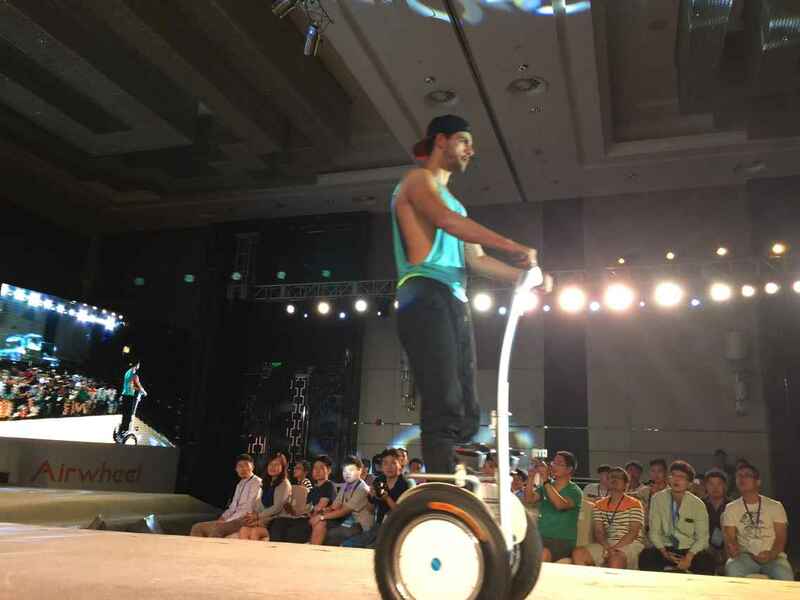 However, S5 was rolled out in Airwheel 2015 New Product Release Conference on Jun 18, 2015. To buy a S3 or S5, this is a question for users. Now, let’s compare S3 with S5, to give some references to these confusing people. As S-series models, S3 and S5 have much in common. They continue the most powerful performance of the former models. They both use original Sony/Panasonic lithium battery, Top 10 Cheng Shin Tyre, synthetic resin shell which made of advanced nano materials and ultra-quiet magnetic levitation motor. Two smart chips are used in S3 or S5. Both S3 and S5 are equipped with 4-inch screens and water resistant devices. As two different products, however, S3 or S5 has its strong points separately. The colorful lights on S3’s lever make riders personalized. The unique settings of breath lights make others recognize them easily. Best of all, S3’s price is 50% less than S5’s. So many people may prefer S3 than S5. S5 is a brand new product of S-series intelligent electric scooter. Of course, its parameters and details are upgraded from the former models. The battery capacity of S5 is 680Wh, which is the largest in all Airwheel products. The larger battery capacity brings S5 the longer range. With bigger wheel hubs, S5 also appears to be rougher. These improvements help S5 to deal with complex road conditions better. Airwheel S3 provides a comfortable way of travel for citizens. And it is mainly applied to urban commuting. S5 is designed to help citizens to release pressures and get close to nature in greener ways. Users may choose the one they like, according to their different needs.